Do you know what today is? Yes, it’s Monday and Presidents’ Day. It is also National Drink Wine Day! This is definitely my kind of day – I didn’t have to go to work AND I’m supposed to sit around drinking wine? Awesome! 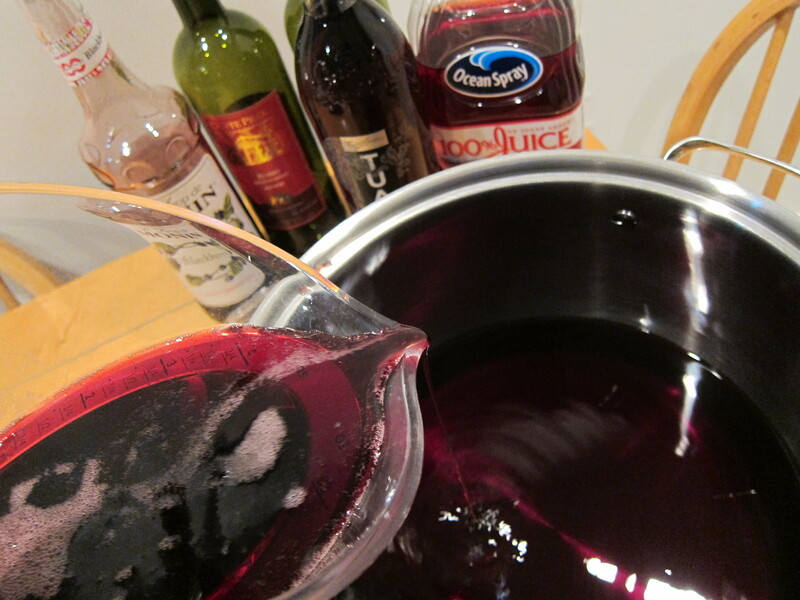 Mix all liquid ingredients together and add blackberries. Refrigerate and let sit for a few hours. Serve over ice. When ready to serve, add a slice of lemon and orange. As much as I enjoy wine, I certainly would not consider myself a connoisseur. I like whites and fruity reds (especially wines from local NJ wineries) but I had no idea what would be considered a sweet red Italian wine. Luckily there are many helpful employees at my local liquor store and I was led right to what I needed (under $10 a bottle too!). I had to order the blackberry syrup from Amazon because while the liquor store does carry Monin syrups, they seemed to have every flavor BUT blackberry. 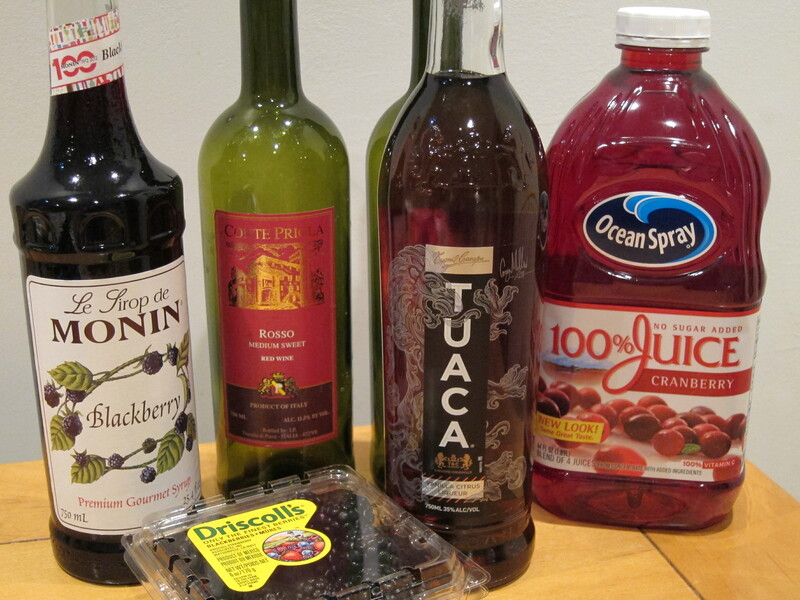 Once that arrived, I was ready to make some sangria! I quickly realized that there was no way I was going to be able to mix two bottles of wine plus all those other liquids in my measly little pitcher so I grabbed my spaghetti pot. Even that was too small though, so I had to pull out the big guns. 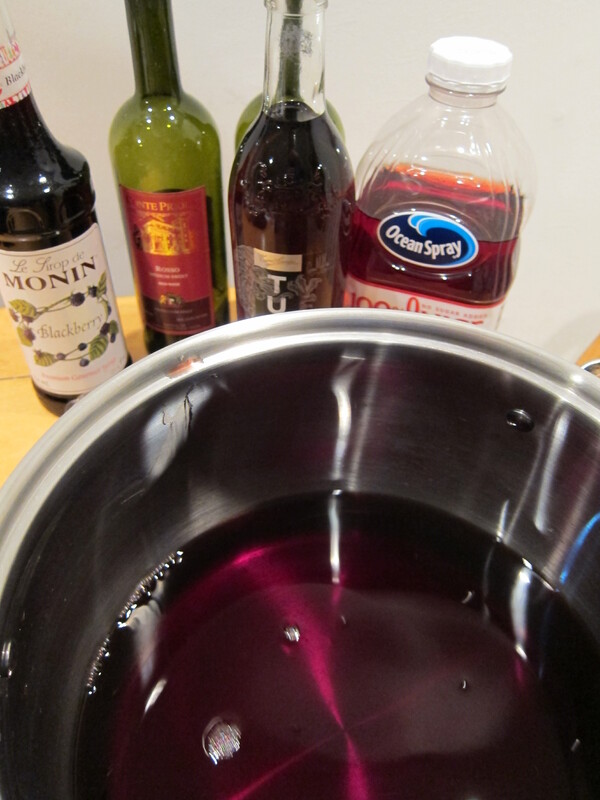 Is it the sign of a problem when you are making sangria in a stockpot? Once I had everything mixed together I transferred the sangria into two pitchers and let it sit overnight. The next evening, I had my first glass. It was delicious! It tasted ALMOST just like the Carrabba’s stuff and after letting it sit another night, and adding a little ice to my glass it tasted EXACTLY like it. Cheers to Google, for without it I would be spending way too much money at the bar at Carrabba’s to get my fix of their Blackberry Sangria! Will you be celebrating this dual holiday with a glass of wine? What’s your favorite?